When I've been promising to take TJ crabbing for 2 months but he just cant behave, I feel bad for postponing his special treat of his choice. So this weekend I jumped at the chance to go! When we live a mere 8 minutes from the beach it nothing special, but to be honest there's only one other place in the world I'd like to live and that's Florida USA. Living 20 minutes from Sandbanks beach ( which has won a blue flag award for over 20 years). Who wouldn't want to live here. 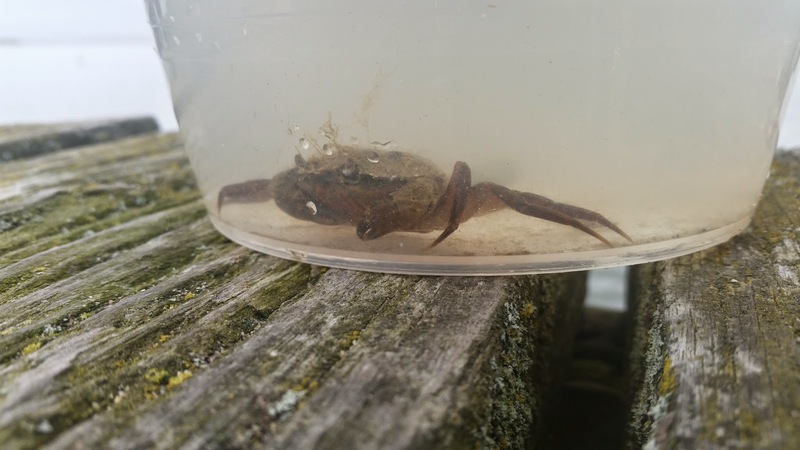 Our first attempt at crabbing took us to Poole Quay. Where we caught nothing but seaweed. 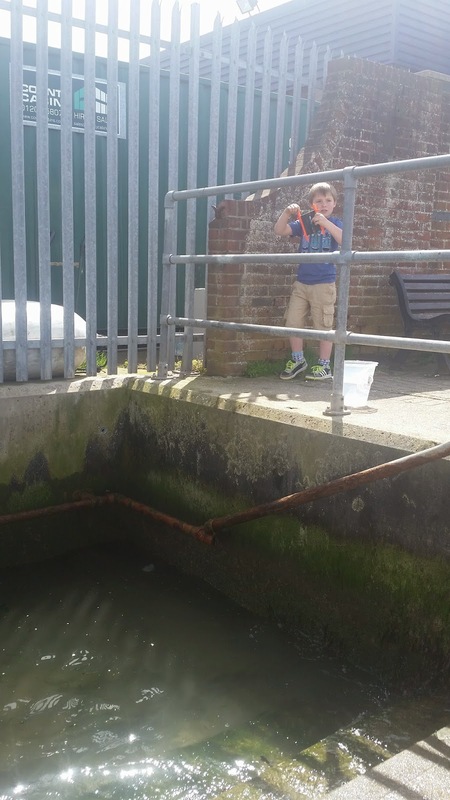 But TJ enjoyed his morning of being a guy, chatting to fishermen and discussing the length of the fishing line. How the fishermen kept a straight a face I'm not entirely sure but they were fantastic and couldn't thank them enough for answering TJ's questions. 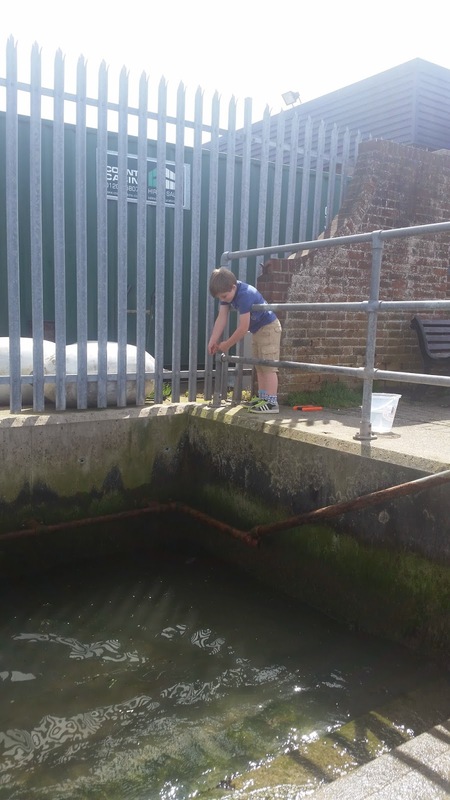 TJ had a fantastic time on the Quay with the fisherman explaining and helping him to crab made going definitely worth while. Our next stop was Rockley pier. This was where the fun began. After our First cast off from the pier we realized that reeling in the crabs before they fell off was going to be a little difficult. So after our third attempt at pulling them up slowly, we tried a different tactic QUICK!!! The poor crab flew through the air and into the railings and managed to bounce into the bucket. 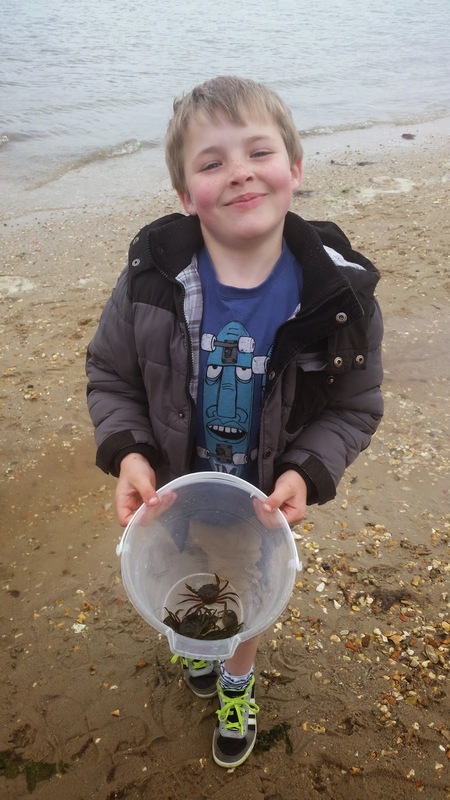 The main thing was we caught a crab, both excited we continued to crab for another 30 mins as the wind picked up and the sea blew onto our skin making it cold. TJ asked to stay another 30 minutes, which after catching the first three crabs I was determined to catch at least five before leaving. Along comes an old school friend and the competition began. We caught a further four crabs before leaving and had a lot of fun doing so. More fun then I thought we would've and spent the day argument free. If you go to the seaside I would recommend for not only entertainment value but testing your reflexes those dang crabs are fast. 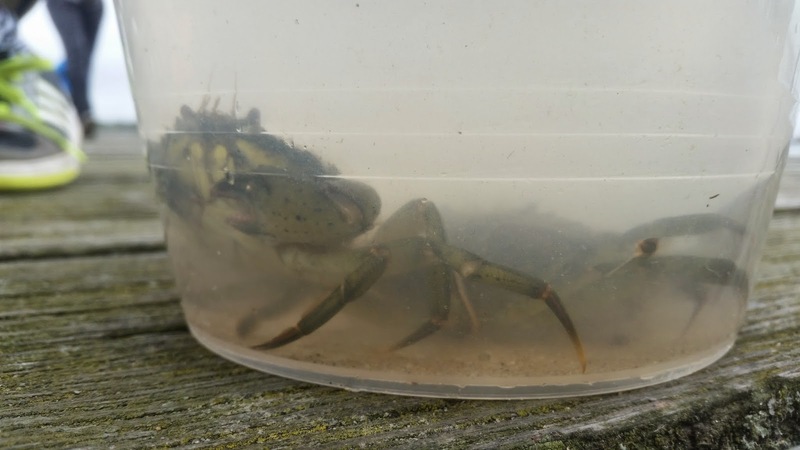 I loved crabbing with my Dad when I was a child. Looks like you had fun! I know how it feels postponing something because the child isn't behaving! But I find you and the child enjoy it much more when you do it after child is behaved as it is a treat for them! Thanks for putting my #Justanotherlinky badge on your blog side page!